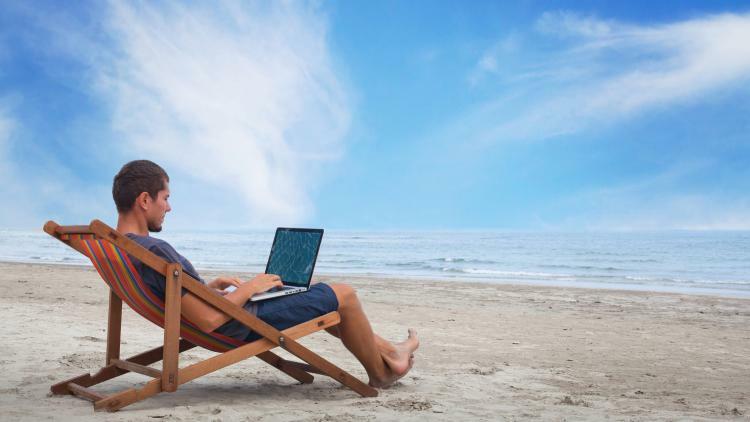 Summer 2016 release: A better workday is here! If you work in IT or security, you know identifying and deploying software patches in a timely manner is a must. With new Patch Reporting in Casper Suite 9.93, this once laborious and manual process is a thing of the past. Patch Reporting is completely unique. It automatically notifies administrators in-platform or via email when updates are available for more than 30 of today’s most frequently patched, third-party OS X software titles. Simply set your notification preferences for each title, and let the updates come to you. No more manual patches. The gift of time is yours. Knowing when software patches are available is only one piece of the puzzle. Patch Reporting gives you greater visibility into the status of your software titles so you can take appropriate actions, when needed. See which software versions are installed in your environment and how many computers are on each version. Export compliance information for internal use, or pin it to your dashboard for easy reference. Smart Groups were also enhanced to better target devices needing patching, including “greater than/less than” criteria for software titles and Apple operating systems, as well as Smart Groups for the latest version of any of the supported third-party software. Want to learn more? Join us August 10 for our webinar dedicated to Cloud Integrated Patch Management. As more organizations shift to SaaS-based mobile device management (MDM), JAMF Software is committed to delivering a compelling set of cloud-based device management capabilities. We’ve made exciting enhancements to our cloud deployment offering to improve both organizational efficiency and security. With our Single Sign-On (SSO) integration, enable secure access at your organization by integrating Casper Suite 9.93 with any SSO Identity Provider using SAML 2.0. You can also integrate your directory service with Casper Suite through the new LDAP Proxy Server for a secure bridge between your internal directory service and Casper Suite. Cloud-hosted customers can also take advantage of the JAMF Cloud Distribution Service – a global hosted distribution point for organizations to easily distribute software packages, regardless of their network or location. Looking for hosted options outside the United States? We’ve got you covered. With data centers strategically located in both the U.S. and Frankfurt, Germany, JAMF offers global hosted Apple Device Management. We’ve improved our Apple School Manager integration workflows. Along with making it easier to import classes from Apple School Manager into Casper Suite in bulk, users now have the ability to test student photos for use with Apple’s Classroom app and Shared iPad. With new Configuration Profile Restrictions, teachers can also eliminate distractions and keep students focused by disabling screenshots, screen recording, Apple Music, Radio and voice dialing while a device is locked. iOS 10 and macOS Sierra: out with the old and in with the new! Apple recently introduced iOS 10 and macOS Sierra at WWDC. At JAMF, we’re gearing up to offer support for all of the new features from Apple. In the interim, we invite organizations participating in Apple’s beta program for iOS 10 and macOS Sierra to test compatibility with Casper Suite 9.93. As with all beta software, we strongly encourage customers use a non-production environment for testing. Self Service availability in more languages to improve the end-user experience and extend the benefits of Self Service to international organizations. Self Service for iOS and OS X is now available in French, German, Japanese and Simplified Chinese. Webhooks can be used to trigger actions or workflows by registering an Events API event to be sent as XML or JSON to a URL of your choosing. Delete users in bulk by executing a mass action from a user group or user search. Check out the Casper Suite 9.93 release notes for a complete listing of what’s new! The Casper Suite Summer 2016 Release is already available to JAMF Software customers. Get your upgrade here. Cloud-hosted customers will be upgraded automatically. Contact us to learn how Casper Suite 9.93 can help you achieve your most important objectives. You can also start with a product demo to see what Casper Suite can do. Or speak directly with one of our product experts. You’re going to love it!